I see being a dentist as a window to connect with people: I look beyond a person’s teeth and oral health to see who they are, to listen to and get to know him or her. My patients are, first and foremost, individuals who deserve to be heard and valued. It is my honor to share in their stories, learn from their experiences, and be their partners as they achieve stronger oral health. I consider my patients to be my friends and hope they come to feel the same about me. As a child, I suffered because I had bad teeth. I didn’t socialize much and had low self-esteem, too. When a dentist improved my dental health, the doctor also increased my self-confidence, and I knew I wanted to share that experience with others. I promised myself to help as many people as I can, by helping them to get their smiles back, along with stable function. My ultimate goal is to make every patient feel at home in our office, knowing they can trust us with their oral health needs. My team shares this goal: we are not here to “do a job.” Instead, we are here to make a difference for each person who steps through our doors. Together, we offer first-class dentistry with the Lord as our guide. I attended the Indiana University School of Dentistry, where I received my Doctorate of Dental Surgery. Like other sciences, dentistry is constantly evolving; ongoing research yields new techniques, materials, and technological breakthroughs. 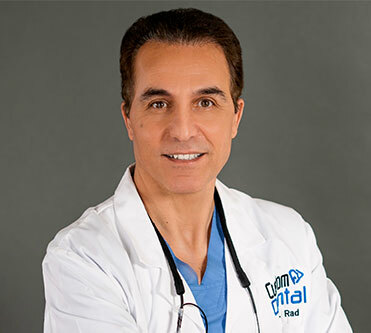 It is my responsibility to stay current on these developments in order to provide patients with the best dental care, most pleasant experience, and strongest results. Each year I take a range of continuing dental education courses. I also attend national, regional, and local meetings and seminars, and read the latest journals and other dental publications. Born in Tehran, Iran, I came to the United States in August 1994. Dallas has been home since 2010, the same year I married my lovely wife, Sarah. In 2016, the Lord gave us our beautiful son, Benjamin. These days, if I’m not in the office, I’m most likely with Benjamin and Sarah. Family time and family life is most important to me. I also make time to run and bike with some friends, and enjoy many church-related activities and community service projects through the church. My church, and the community it offers, connect me with God and ground me in a way that allows me to see the real world clearly and how best to serve others.